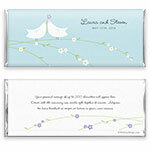 Set a tone for sweet romance with this charming design. 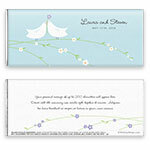 Design: Two doves and flowers on branches. Personalization: Front names and date, back message.